In those days they were sold alive. The way it worked was that you chose one and it was delivered to your home a few hours later. It was adventurous enough for Mum to go to such a shop and it was a given that she would not take it home herself. 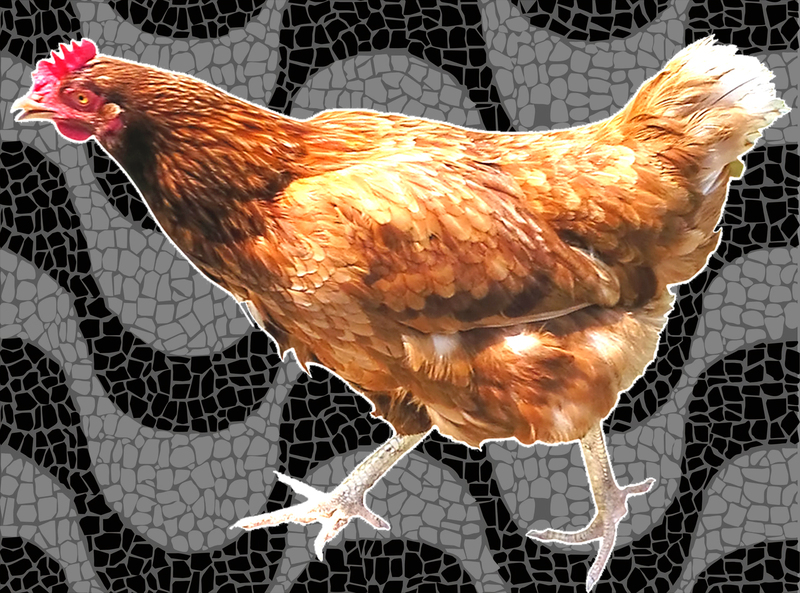 No one would ever expect an elegant “madame” to walk around with a freshly killed chicken in the stylish Copacabana streets. It was the maid who received the poultry packed in newspaper pages at the back door of the flat. After bringing the future meal in and lying it on her bathroom floor, she went to my mum to try to explain something that seemed urgent. In her very poor Portuguese, Mum understood that there was a problem in cutting the head off. The bulk of their cutlery had not been cleared by customs yet and only knives they had at home were butter ones. This was unexpected because she assumed that the chicken would come from the shop plucked gutted and ready for stuffing. Without thinking much about it, and delighted to have a maid to boss around the logical orders were to pour boiling water on its neck to soften the meat and then re-trying with a bit more strength. That would have certainly worked had the chicken not been alive. The shrieks coming from the maid’s quarters made her realize that there was something wrong. When she got there to check out what was happening she understood the morbidity of the situation. The bird was in agony and being dealt by an equally horrified maid, who must have thought that the “gringa” was mad but that orders were orders. After disposing of the poor chicken, and without the option of buying a ready-made meal in a take away by the corner, they were obliged to eat out in a restaurant . The recently arrived couple must have laughed a lot about the event during their enjoyable evening out by the sea. I never thought of asking about the destiny of the was-to-be meal and would like to think that the maid took it home and provided a feast to her children in the favela. 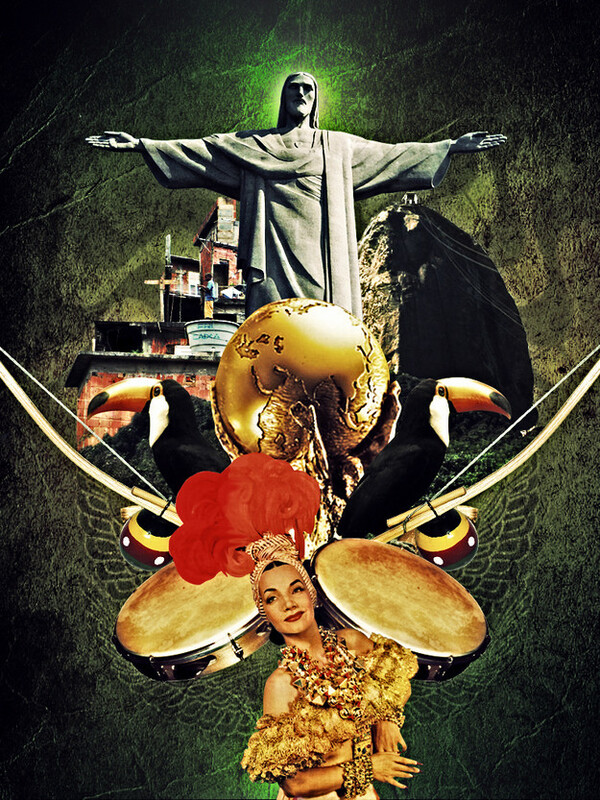 Ouro Preto Lost Samba time. 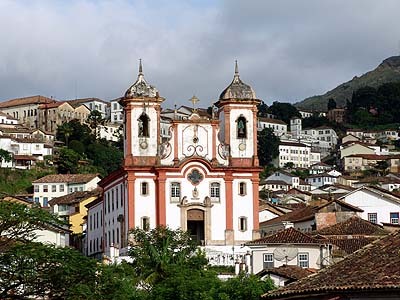 In 1982 at the end of my first semester my University (the U.F.R.J) organized a holiday trip to the historical town of Ouro Preto, in the state of Minas Gerais as part of their peer bonding policy. The town was about seven hours by car from Rio and had been constructed by the Portuguese in the 1700’s when the region was one of the world’s biggest suppliers of gold. It was listed as a heritage for humanity by UNESCO and still retained the elegant and prosperous colonial architecture, and had churches literally covered in gold. The streets were still of cobble stone and despite the cars and electric cables it must not have been much different to what it was 400 years ago at the time of its splendor. In the early 1908’s the mines had dried up long ago and it had become a university town which translated into a lot of young people having fun away from home in student hostels which they called republics. Not only the town was very special but the surrounding too. The more temperate climate accounted for beautiful and pleasant forests, the now gold-less soil main element was the “pedra-sabao”, or soap stone, which the rain and rivers had sculpted into creating strange caves with natural pools and waterfalls. These natural showers were about a half an hour’s on foot from our republic and were perfect to sober up the hangovers and just the walk itself through the countryside was worthwhile. Besides the magical settings and the numbers of young people, there was another other cool aspects of Ouro Preto; the free student’s refectory was the best one I had ever been to. The winter weather wasn’t always great and the students would stay indoors getting bored and drunk. As soon as they found out that there was a guitar player/singer around they started to organize parties where my un-amplified nylon string guitar and my voice on top of the dining table was the music box. The success was so big that people from other “republics” started showing up. I was enjoying myself so much that I decided to stay on for another two weeks after my class mates left. Six months after joys of that holiday the good life would be overshadowed by the harsh realities of hyper-inflation, recession, joblessness and other illnesses brought by bad economic administration.